Predictions of the Robocalypse are everywhere. “Robots Are Winning the Race for Jobs,” headlines The New York Times, which linked workplace automation to the rise of despotic rulers around the world. Elon Musk warns “Robots will do everything better than us.” On one hand, 72 percent of Americans are worried about an automated future (Pew ). On the other hand, 94 percent of American workers don’t think a robot will take their job (NPR). Denial, fear (rational or irrational), or just confusion, these unsettled attitudes are understandable. The 4th Industrial Revolution – the meshing of the physical and digital worlds – is far more disruptive than the previous three. They replaced human brawn with automation. The fourth is replacing human brain. Digital automation – artificial intelligence, machine learning, analytics, smart hardware, and robotics – will soon be doing what we’ve always considered skilled human jobs. The displacement of truck drivers by autonomous trucks – “robot” trucks – will supposedly create enough social dislocation to trigger “riots in the streets,” according to Andrew Yang, a New York technology executive and 2020 Democratic Party presidential hopeful. The reality? Right now there are more open U.S. truck driver jobs – 48,000 – than there are coal miners in the entire country (40,000). Japan, with its aging population, is short almost 400,000 caregivers for the elderly, and the government has a program to increase social acceptance of robotic caregiving to fill the gap. If the U.S. and other countries seal their borders, they’ll be short millions of people to work farms and meat-processing plants. There are 6 million U.S. jobs currently going unfilled for lack of proper skills. 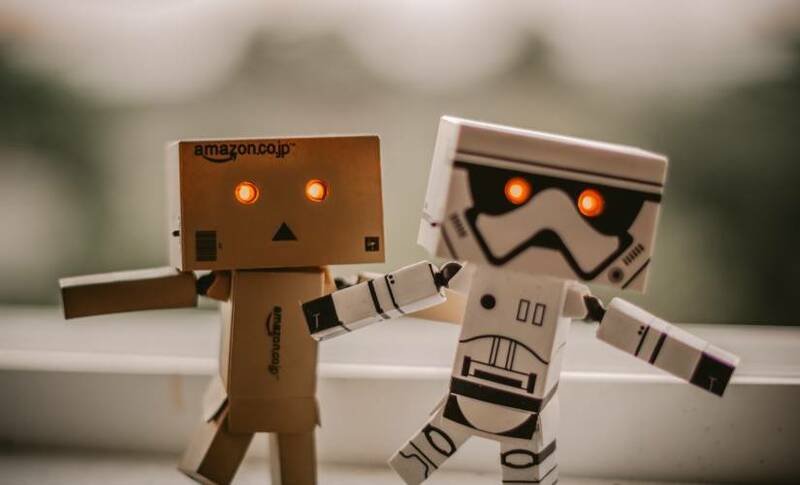 If we think of robots not as sci-fi monsters but simply the physical interfaces of digital automation, we can understand why many experts expect automation to create a better future, not just for wealthy elites but for multitudes. Digital automation is not solely about increased efficiency, which would indeed be a job-killer. It’s about augmenting human talent to create entirely new levels of flexibility, agility, and customization in imagining and delivering new products and services – the exact capabilities that lead to more rewarding jobs and an enhanced quality of life for larger numbers of people. And like electricity, intelligent automation will evolve from ominous mystery to a humdrum everyday enabler as it transforms the global economy and our entire civilization. How many jobs will intelligent automation destroy or create? Expert opinion varies widely, to say the least. The most commonly cited negative numbers come from three places: a 2013 Oxford study that said 47 percent of US jobs will be automated in the next few decades; an OECD study suggesting that 9 percent of jobs in the organization’s 21 member countries are automatable; and a 2017 McKinsey report saying 400 million to 800 million jobs worldwide could be automated by 2030. On the positive side, some experts, such as London School of Economics Labor Professor Alan Manning, believe intelligent automation will have zero impact on employment. The research firm Forrester foresees the net creation of nearly 15 million new American jobs in the next 10 years. The Center for the Future of Work predicts intelligent automation will replace 19 million U.S. workers while creating 21 million new jobs. I incline to the optimistic. Among other benefits, digital automation has the potential to solve the productivity conundrum that’s been holding back wages and prosperity throughout the 21st century. Take the U.S. example: For the last 10 years, physical industrie that represent 75 percent of American private sector employment – manufacturing, energy, transportation, infrastructure, utilities – have grown at the feeble annual rate of 0.7 percent. By contrast, intelligently automated digital industries, which employ 25 percent of U.S. private workers, grew at an average annual rate of 2.7 percent in that period. Now here’s the good news: intelligent digital automation is coming to physical industries. I see it every day at work. Transformative automation could well raise economy-wide productivity and growth to digital-industry levels over the next few years, in the same way computer network­ing accelerated industrial productivity, growth, and prosperity in the 1990s. Automation’s acceleration of the broader U.S. economy to digital’s 2.7 percent annual growth rate would add $8.6 trillion in worker pay and $3.9 trillion in government revenues over the next 15 years, according to the Progressive Policy Institute. That economic surge would benefit not just the familiar coastal locations but extend to places like Kentucky, where rising e-commerce employment (warehousing, storage, fulfillment) is already enhancing the state’s economy. And the nearly $4 trillion in extra government revenue could be used for effective retraining and supportive social programs not only for those displaced by automation, but also for workers who need immediate education, reskilling, and placement services to fill those six million jobs currently going unfilled because people lack the skills to do them, or the awareness that the job openings even exist. What’s required to benefit the most from the automated 4th Industrial Revolution is preparedness in education and social policy on a nation-by-nation basis. Ominously, as I travel the world I see a universal lack of policy readiness, even in countries eager to prepare for the future of work. Every country needs broader planning engagement among leaders in government, industry, and education. Education for the automated future must go beyond the 3Rs and STEM to include skills that allow people to surf future changes and remain employable using uniquely human skills robots can’t replace – seeing the patterns around them, figuring out solutions, working in fluid teams, and adapting as situations change. It will be a long time before machines replace “HUMINT” – human intelligence. Our humane impulse – fight progress to “save jobs” – may seem compassionate, but it’s the wrong thing to do. Right now, we need robots to do jobs people aren’t available to do. In the longer term, artificially hampering or postponing innovation won’t save jobs, it will just delay automation’s benefits, including the development of more rewarding, better-paying work that’s not dirty, dangerous, or demeaning. Automation will allow humans to stop the struggle of adapting to technology as technology increasingly adapts to them. The fundamental issue is not the work digital automation will take from humans, but the better work – the better jobs – it will do with humans. Automation’s elements are merely tools empowering us to build a smarter, more humane, cleaner, more empathetic world of widespread innovation and greater abundance by augmenting human talents. Our major challenge now, globally, is to develop & implement national policies ASAP, so every country is ready to harvest the riches of the 4th Industrial Revolution, robots included. Robocalypse? I think not. Guido Jouret is the Chief Digital Officer at ABB. He leads the next level of development and deployment of ABB’s digital solutions for customers globally and across all businesses.